Chainfree Bristol - JANUARY 2014 NEWS! Happy New Year for 49, 50, 51 and 52! Happy New Year for 49, 50, 51 and 52! A concerned neighbor contacted Chainfree Bristol about Buddy (above), Jasmine and Roxie. Buddy, a 3 year old Doberman-Boxer had to be neutered and was. 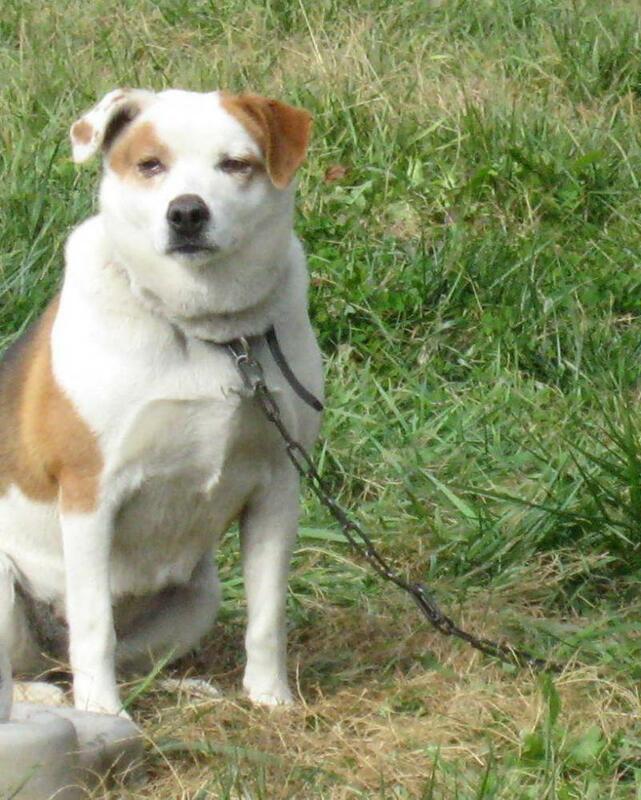 Roxie, a 5 year old German Shepherd, had ALWAYS been chained... as had Jasmine, an an 8 year old, chained-since-birth Jack Russell mix. Chainfree Bristol Volunteers, with the support of Chainfree Bristol Donors, built a large fenced enclosure for these three active dogs. 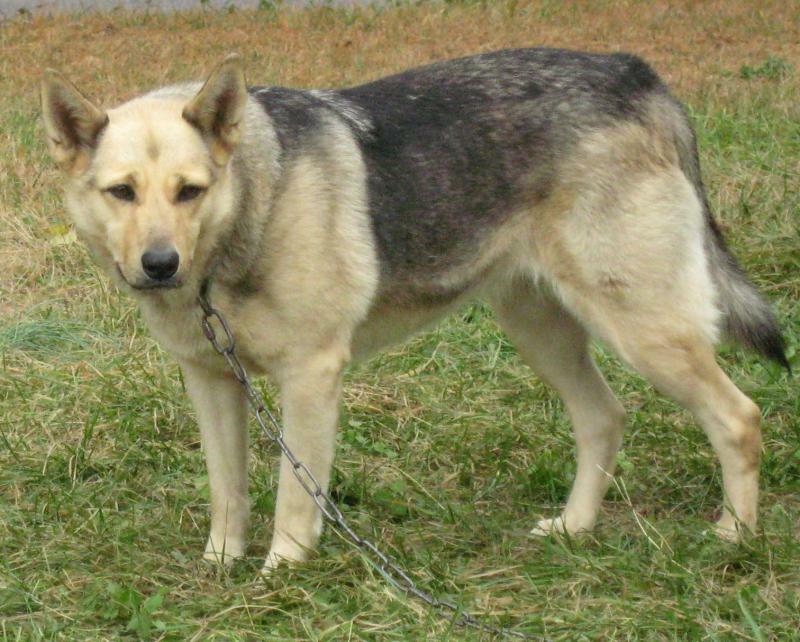 Unfortunately, Jasmine had been socially stunted from years of being chained and alone… and she could not exist in the same enclosure with Buddy and Roxie. So, Chainfree Bristol added another, adjacent, fenced enclosure to accommodate Jasmine. Now all are happy, unrestrained and CHAIN FREE! Copper is a super sweet Blue Tick Hound. Chained to a tree his entire 3 years of life, Copper Copper weighs in at nearly 100 lbs. and lived in the normal chained dog CIRCLE OF DIRT! This This loveable big guy had a very Merry Christmas because of the efforts of Chainfree Bristol’s Volunteers' Christmas Eve fence build. Special thanks to Volunteers Les, Doug and Jake! 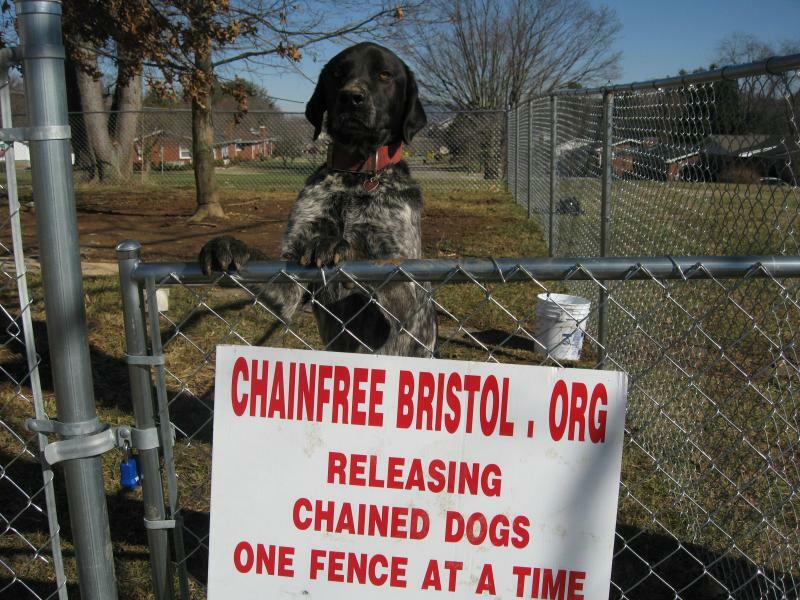 Copper is the 52nd dog released by Chainfree Bristol from a lifetime on a chain! A special THANK YOU to the room full of Chainfree Bristol supporters who turned out for the City Council work session in December. At this meeting, Chainfree Bristol’s founder, Liza Conway, delivered a thorough presentation outlining the deficiencies in current ordinances and advocating for a BAN on the unattended, lifetime chaining of dogs. Because of this continued encouragement from Chainfree Bristol, the Bristol Tennessee City Manager, Attorney and Police Chief met recently with Liza to discuss ways to improve current animal care ordinances. New ordinance language is currently being discussed and developed to present to City Council. WATCH for future updates to find out how you can help!